#SilmAwards2017 Award Presentations Begin This Week! Just a very small, quick announcement-y post today . . . The votes are counted, the results are in, and now it’s time for the winners of the best fantasy book characters in the Second Annual Silmarillion Awards to be presented! + Blog Celebration of Fantasy and/or Tolkien (also July 29) — In celebration of the 63rd birthday of the publication of The Fellowship of the Ring; you’re welcome to join in with your own post on your blog or social media! Be sure to come back here next Monday, July 24, when a brave heroine of Middle-earth will be presenting the Most Epic Heroine Silmaril to the most-voted fantasy heroine, here on The Road of a Writer . . .
Now if you’ll excuse me, I have a post of my own to write for July 29th about my love for Tolkien’s works and other beloved fantasy literature, not to mention that I also have characters to manage for said Award Presentation Ceremony which must be prepared for all you readers next week, and the clock is definitely ticking . . . So I will bid you Namárië for now, and I hope you enjoy the Silmarillion Award presentation posts throughout the next couple weeks! Lord of the Rings Celebration! Mae Govannen once again, my Middle-earth-ish friends! Today, July 29th, marks the 62nd anniversary of The Lord of the Rings (specifically The Fellowship of the Ring) being published for the first time in 1954! I don’t have any actual cake, but virtual cake in the form of Bilbo’s 111th birthday cake will do nicely in its place. There are also the films, soundtracks, and audiobook versions floating around the house somewhere, also much beloved. I don’t remember exactly how old I was when I first read The Hobbit, but I know I greatly enjoyed it at that young age . . . But I do remember, some time later, first reading The Lord of the Rings. I was 10, and we were listening to the audiobook versions. That was the first time I remember really entering Middle-earth . . . and I think a little part of me (okay, at times a much larger part) has been living there ever since. After that, I reread The Hobbit and The Lord of the Rings from time to time, I devoured The Silmarillion a few times, and started collecting and reading all the other Tolkien books I could get my hands on (as I said, my birthday/Christmas wishlists were usually full of them, as were the paper bags I carted home from library book sales). I still have many Tolkien books (for instance the rest of the History of Middle-earth series that Christopher Tolkien put together) that I haven’t finished reading yet, but that only makes me happy to think of more in store to discover. To call myself addicted to Middle-earth would be a large understatement . . . For a few years there when I had just gotten really into Lord of the Rings, I was a Tolkien hobbyist, and still am to some extent. I did lots of Elvish calligraphy in Tengwar (the Elvish alphabets Tolkien developed), memorized poetry from the books and wrote them out in journals, made large posters of the complicated genealogies of Elves and Men from the First to Third Ages . . . Yep, I was a little addicted, you could say. I also vividly remember the first time I saw the Lord of the Rings movies, specifically The Fellowship of the Ring. I was visiting relatives, not so long after having read the books for the first time, which I was already in love with. I vaguely knew there were films but hadn’t seen them yet. I remember the excitement of gathering late at night with cousins and staying up to watch The Fellowship of the Ring. I came in after the movie had already started, so I incidentally missed out on the prologue and the quiet green Shire parts, coming in right when Gandalf has just ridden off to find answers and the camera pans past Sauron’s tower of Barad-dur in the dark with scary epic music — naturally nervous ten-year-old me would come in at a terrifying part. 😉 The movie fascinated me, and I remember the next day I got to go back and watch the beginning, which I had missed, all by myself, with the Shire and the prologue and everything, and it was delicious. I have a few quibbles with the movies which I will not forgive them for (Faramir; Frodo sending Sam away; the general de-noble-ifying of many characters like Aragorn… a few things like that) but on the whole I still love them. 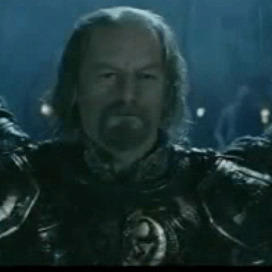 Especially the music, which captures the feel of Middle-earth marvelously, I think. But nothing can ever touch the original books as Tolkien penned them. ❤ The Lord of the Rings is one of those things at the core of my being. It has been an enormous part of my life so far (and will certainly continue to be! ), and I can’t imagine life without it. 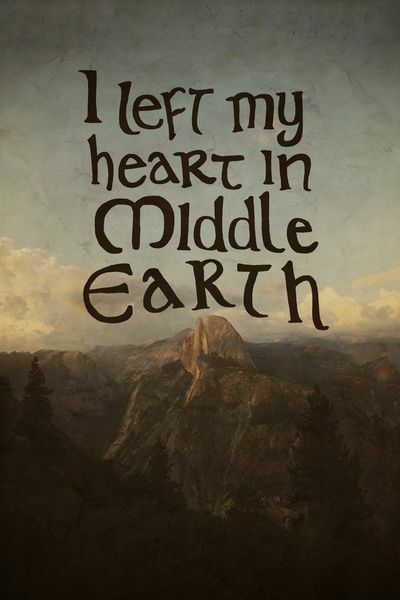 I’m so grateful to J. R. R. Tolkien for giving us that glimpse into Middle-earth which I will always treasure. Happy 62nd birthday to The Lord of the Rings! And here, with this birthday post for my favorite book, I’d also like to look back at the last several weeks of the first ever Silmarillion Awards, because I don’t know about you, but I definitely had a blast with them! Happy Lord of the Rings Day to you all! Down from the door where it began . . .
Beginning today and running through July 28th, each day one more winner of the Silmarillion Awards 2016 will be announced on the blogs of the hosters of these awards! It’s going to be exciting for everyone, even me, since I only know the winner of the award I’m hosting… So we all get to be surprised, and I’m waiting curiously just like the rest of you! Each of the hosters will be having a character from The Lord of the Rings over on our blogs to present the award to the fan-voted winner of each category. It’s going to be so much fun and I can’t wait to see all the posts! Fri. July 29 – TOLKIEN PARTY! This is the day we celebrate the birthday of The Lord of the Rings! BONUS: Don’t forget that on July 29th, we’re having an online Tolkien party! You can post on your blog, or Facebook/Twitter/Instagram/wherever! And you can use the hashtag #SilmAwards2016, and also drop by Jenelle’s site when the time comes, where she’s going to have a linkup so you can add your links! Meantime, I hope you’re as excited about the wrapping up of these just-for-fun fan-voted bookish fantasy awards as I am!